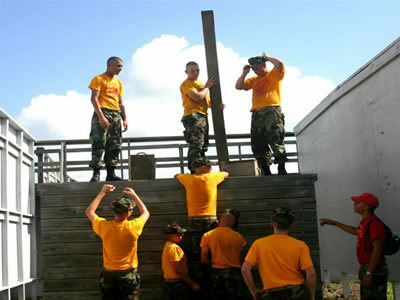 During a four-week session of physical fitness and military-style training, young men learn about the power of teamwork, the importance of respect for self and others and build the confidence to achieve the impossible. 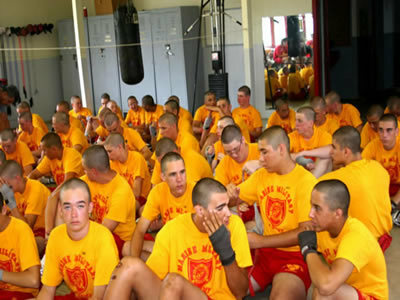 Campers learn about loyalty, leadership, manners and perseverance from those who know the true meaning of these words--former United States Marines and Cadet Instructors from our academic program who are hired to assist the Drill Instructors (DI's)! 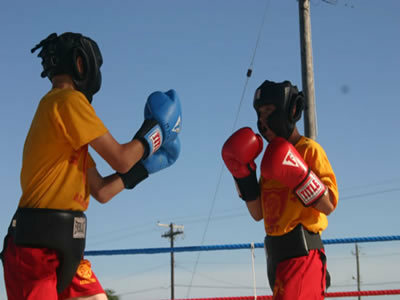 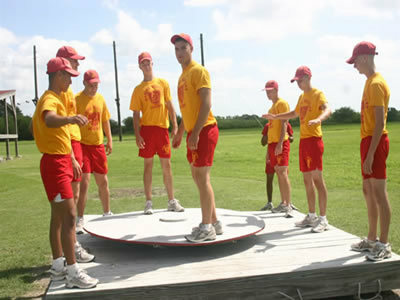 Summer Camp activities are designed to increase the physical and mental confidence of each camper. 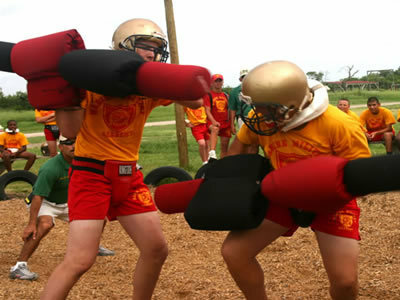 Whether he is awkward or athletic, each young man learns that his reach should and can exceed his grasp! 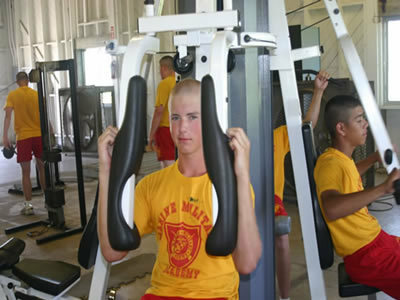 The goal of the Marine Military Academy Summer Camp is for each camper to leave a little stronger, flying a little higher, standing a little taller and feeling a greater sense of accomplishment. 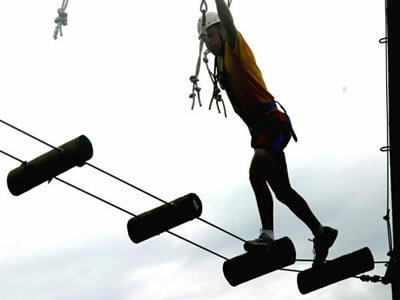 Growth is not measured in inches, but rather through the great discovery that when he gave his full effort, stretched to his full potential and stood to his full stature.....it felt good to leave everyone else in the dust. 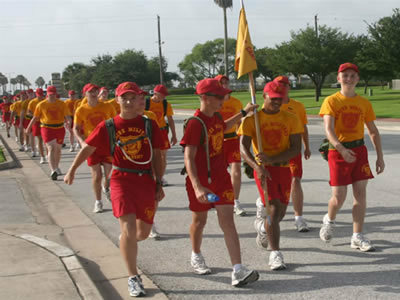 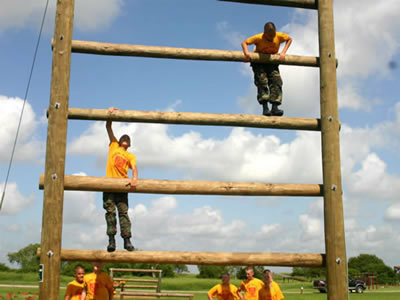 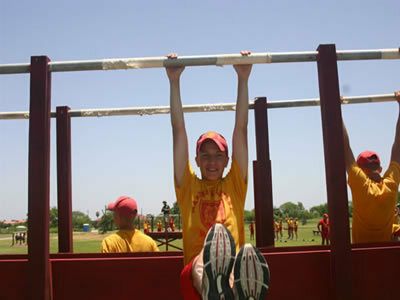 Summer Camp is a four-week program of physical fitness and military training for young men 11-18 years old. 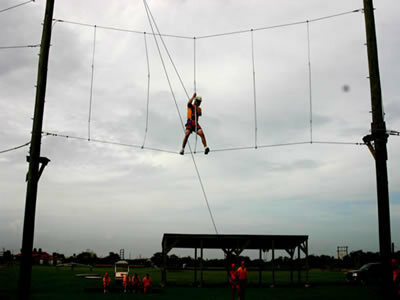 Applications for admission are accepted until camp is full (approximately 300 campers).